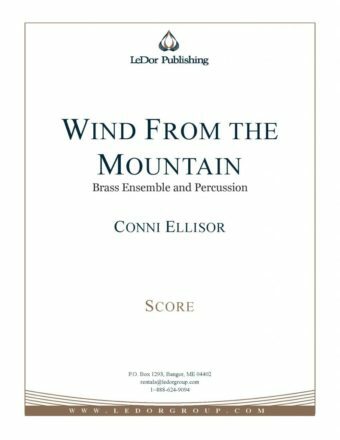 In three movements, this soaring and profound piece, commissioned by the Denver Brass, represents the winds that blow through the mountains of Colorado. When the commission was offered, the parameters were for “brass and percussion” and it should in some way represent Colorado. When I started to write it, it was approximately a year since my mother’s death. When I approached the piece in Colorado there’s those winds that come in the autumn that seem to blow all the old stuff away.